I’m a pretty heavy iTunes user. And with my music collection, the “browser” is the quickest way for me to browse and navigate to the music I’m looking for. But the browser doesn’t always use space efficiently, and it doesn’t display album artwork. By comparison, the iPod and iPhone provide rich navigation in a single column and display album art in list views. So I made the video above to show how iTunes could benefit from a similar interface. I think even light iTunes users could benefit from this because it makes browsing iTunes much more like browsing the iPod. I hope you enjoy it, I recommend watching it at full screen or in HD. I made the claim above during a recent conversation with a friend about the possibility of a future Apple tablet computer. That was a bit of an overstatement. But what I really mean, is the way keyboards are used today is dumb and needs to change. For instance, when I type on my iPhone I don’t always need to type the whole word, it does a decent job of auto-completing. Also, I can mash the letter’s wildly and it will figure out what I meant to type with amazing accuracy. So why is it that with a full-blown computer, and a huge keyboard I have to type E-V-E-R-Y single letter of every word with almost no forgiveness for typos? It just makes no sense. Three ways that text entry can smarten up are text expansion, typo correction and auto completion. 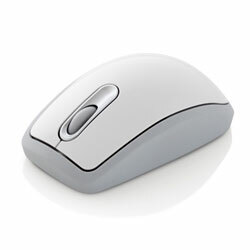 And these methods could also be applied to non-keyboard text input methods, like handwriting recognition. The recent "Laptop Hunter" ad by Microsoft featuring "Giampaolo" inadvertently makes a great case for buying a notebook direct. Giampaolo is looking for a notebook with (in the following order) "portability, battery life" and "power." He chooses a HP HDX, which is a cool machine, but it just isn't a great fit given what he was looking for. At 7.3lbs and 16" display, the HP HDX isn't that portable. It does have ample power with a 2.4GHz processor, 4GB RAM, 512MB graphics card, and fast 500GB HD. But given those specs the included 6-cell battery probably won't last that long on a charge. In the end, he ended up with a notebook that really only met 1 out of his 3 criteria. Assuming Giampaolo really wanted an HP, had he looked on HPdirect.com, he would have done much better. For instance, the HP dv6t is about 1lbs lighter than the HDX and can be customized with a 12 cell battery and almost the same performance specs as the HDX (just a slightly different 512MB graphics card). That configuration runs about $1,300, still way under his budget of $1500. Also the EliteBook 6930p (KS085UT) for $1,429 might be the best fit of all. The EliteBook is much more portable at only about 5 lbs and a 14" screen (with higher resolution than the 16" HDX). It's also sports a 2.4GHz processor, 4GB RAM, a respectable 256MB graphics card, and 7200RPM 160GB HD. Overall, it strikes an excellent balance between portability and performance. Over the years I've helped a lot of people buy computers, and usually buying direct is the best way to go. But golly, buying direct is not without it's own perils and frustrations. And it's hard to resist the instant gratification of shopping at big box stores. Long time readers know my interest in multi-touch technology, so I find these 2.5” and 3.5” resistive multi-touch from Stantum screens irresistible. Stantum is a French company, and parent company of JazzMutant which makes the Lemur, a programmable multi-touch mixer used by musicians like Thom Yorke. Stantum's new cell-phone sized multi-touch screens use resistive touch detection, but are much more precise and responsive than current resistive touchscreens. The screens can detect many simultaneous finger touches, finger pressure, and even accurately respond to tools like paintbrushes. Because the screens use resistive touch technology they should be less expensive to produce than capactivie touch screens and do not require a glass front which can be cracked or broken. The only downside I see to Stantus multi-touch screens is the controller card, which is is pretty large at about 2" x 1.25". I'm not sure if the entire card is required to run the screen, but hopefully the necessary internals can be shrinked to single chip, because I don’t think your iPhone or G1 has room for that whole card. Stantum via Engadget with a videos! You see that little gap in the top of the tea bag, right by the string? At first I thought it was a manufacturing error, like the glue machine missed a spot. But after getting an whole box of Lipton tea with the identical gap I started to think it wasn't an accidental. Finally I realized the little gap isn't a defect, it's a design improvement. You see a normal teabag can actually trap air inside, and you end up with an air bubble in your teabag instead of water filtering through. 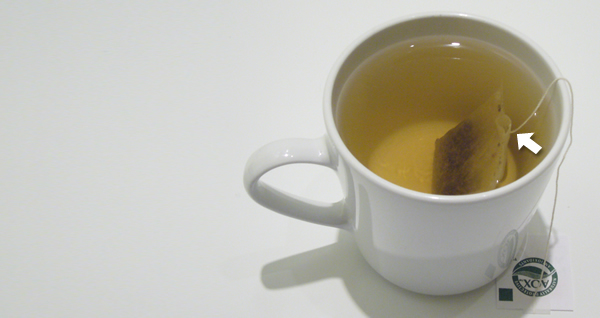 That little gap in the top of the Lipton tea bag allows air to escape so more water can pass through the leaves. Pretty clever. This is my first box of Lipton tea in ages, so I have no clue how long their bags have been like this. When I first read about the new Microsoft ads featuring Bill Gates and Jerry Seinfeld, I was really skeptical. The match-up seemed strange; Bill Gates has pretty much stepped down from Microsoft and a Mac was always perched atop Jerry's desk in "Seinfeld." But after watching the first ad several times, I think it’s incredibly successful (and hilarious). Unfortunately, I seem to have the minority opinion (more on that later). Spint lost 1 million customers in the first quarter of 2008, while other major carriers grew. I've been a Sprint customer over 10+ years and several of my friends also have Sprint, and I have to say this doesn't really surprise me. For me the problem with Sprint comes down to one thing: lousy phones. Sprint consistently has the lamest selection of handsets of any cell carrier out there, and I think it's finally catching up with them (thanks, in no small part, to the popularity of the iPhone). I'm sort of hooked on TED Talks, which can be easily downloaded via iTunes. This video of Malcolm Gladwell had me grinning from ear to ear. In it Gladwell talks about the career of Howard Moskowitz, the man who is directly responsible for the endless varieties of products on our supermarket shelves, particularly Pasta Sauce. It sounds obscure but this video touches on an amazing number of aspects of product development; aspirational buying, the fact the customers can't tell you what they want, products don't exist on a hierarchy, and my favorite, "the platonic dish". Google Maps on the iPod touch is great but with only Wi-Fi for internet access, it's often inaccessible when you need it most: in the car. I'm really hoping someone uses the new iPhone SDK to create a Maps application that works offline by locally saving maps of the entire US. Even iPhone users could find this useful as it would probably run much faster than Google Maps over the EDGE network. Ok, you're probably thinking, "Zini-what and Texteri-who?" 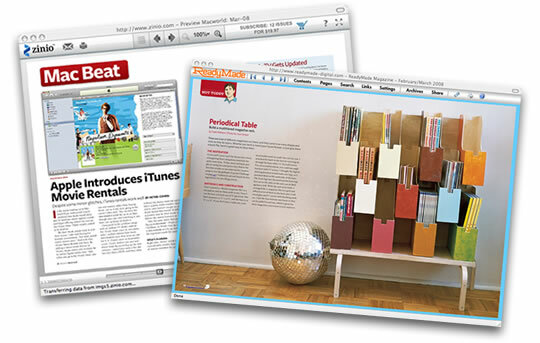 Zinio and Texterity are both companies that convert print editions of popular magazines into digital replicas that can be read online. The digital edtion looks just like the original magazine, ads and all, but boasts some very handy features like searchable text, web-links, and a simplified table of contents. You can check out sample magazines by Texterity and Zinio for free. Both have some impressive titles and offer way more selection than is available for the Kindle. As I wrote before, I think magazines could be a killer app for the Kindle, but they need more titles and a way to deliver full-color editions which can be read from your PC. Purchasing either Zinio or Texterity would help accomplish both those objectives. Of course, Amazon already has it's own Amazon Online Reader which delivers faithful reproductions of books, so the actual software and methods may be less attractive then the magazine titles they would gain in an acquisition. Also, both Texterity and Zinio have created online readers optimized for the iPhone, which could prove to be a tough rival to the Kindle. By purchasing Zinio or Texterity, Amazon could control their competition better or even profit from it. Wow. 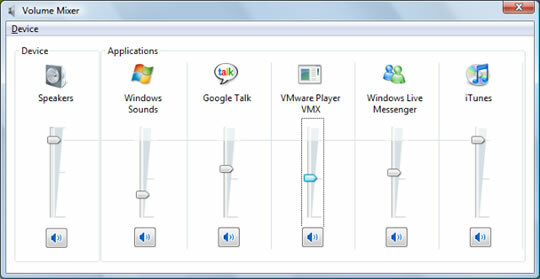 Windows Vista's volume mixer allows you to control the volume of individual applications (including Windows Sounds). This could be a great solution for finally silencing websites that play music and other annoying sounds. I really haven't been keeping up with Vista, but this is one feature that really makes me want it. There's an application for Windows XP called IndieVolume ($24.95), I'm not sure if there's anything like this for OS X.